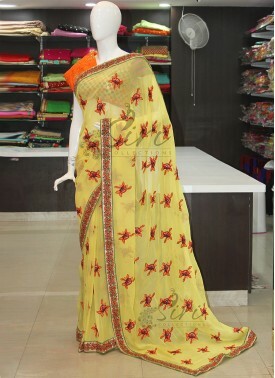 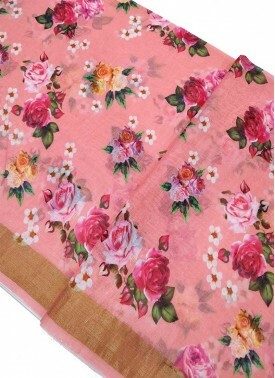 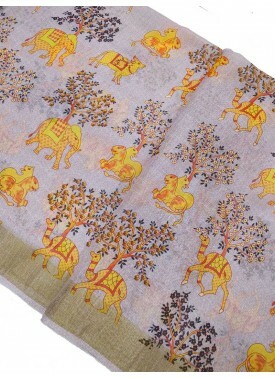 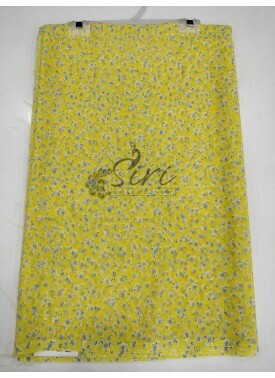 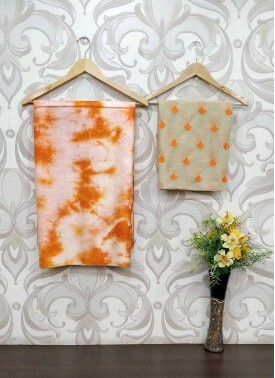 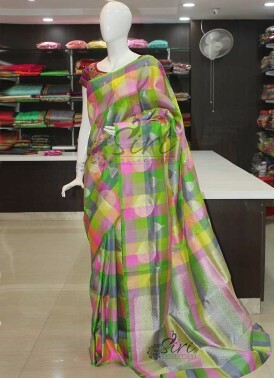 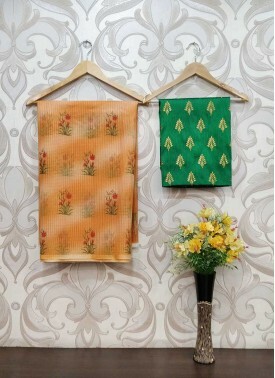 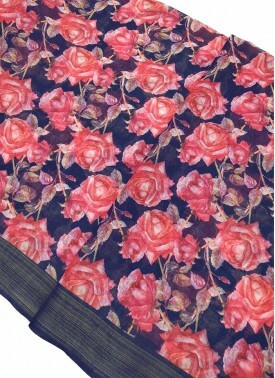 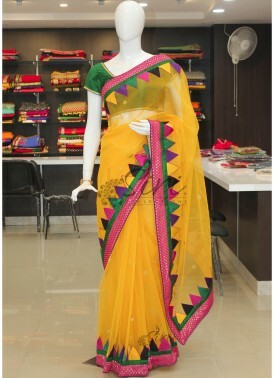 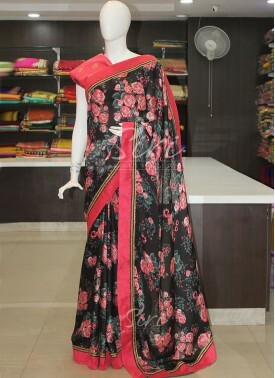 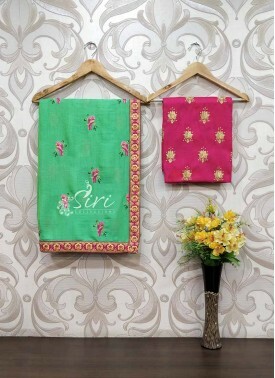 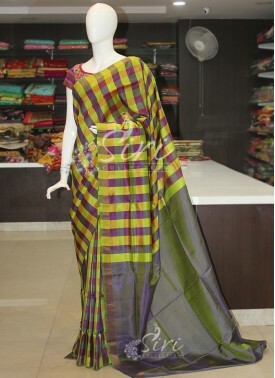 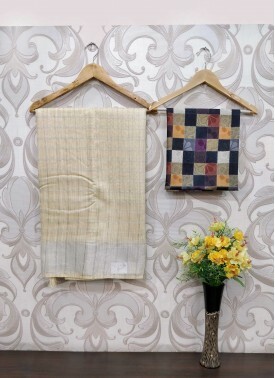 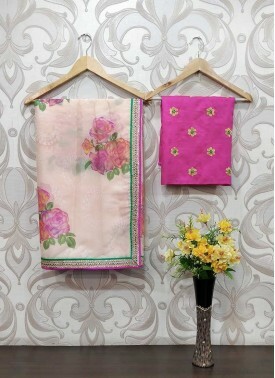 Printed Kota Saree teamed with Fancy Borders. 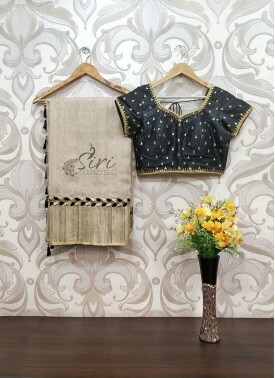 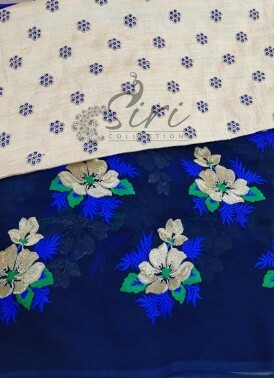 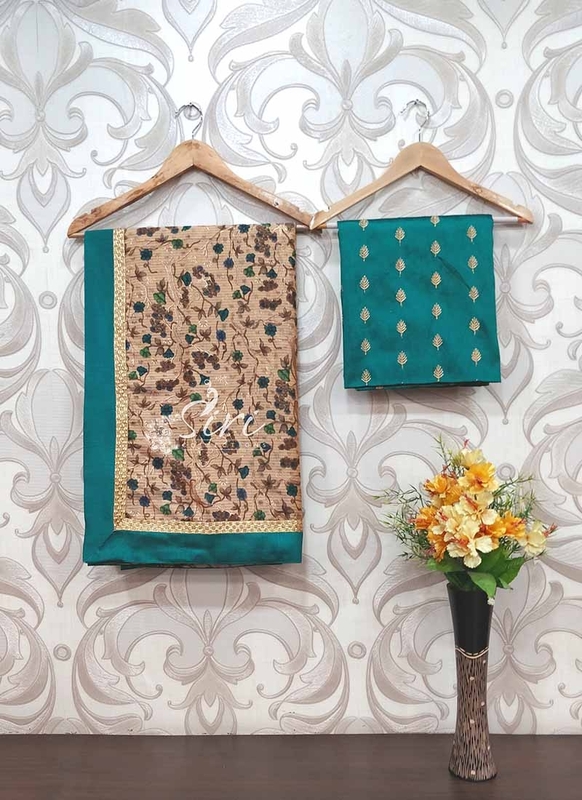 It comes with an unstitched raw silk blouse fabric in gold embroidery and sequins work as shown in the pic. 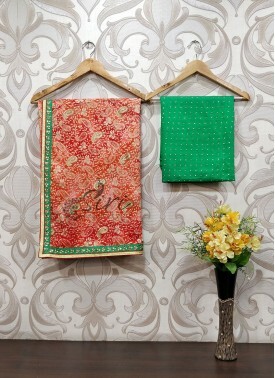 Green Soft Jute Saree in ..
Tomato Red Jute Silk Sare..